I love flatbread. Pita, naan, wraps, literally anything in the flatbread category. But for some reason, I’d never tried making my own. So I decided to tweak my olive oil bread recipe into a flatbread recipe and I figured while I was changing it up, I should test out a whole wheat version. 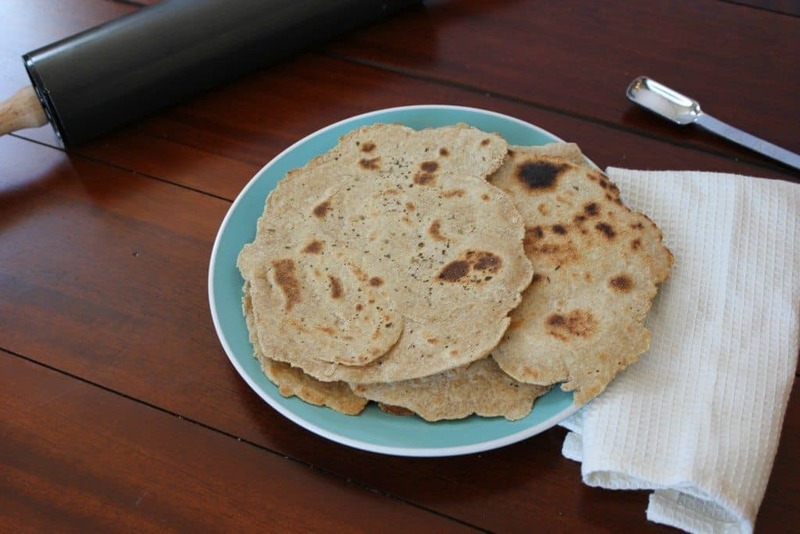 In just a few minutes, I had an easy whole wheat flatbread recipe, no yeast required! What’s the difference between white whole wheat flour and regular whole wheat flour? It’s actually a different variety of wheat. White whole wheat flour is made with hard white spring or whiter wheat. It includes the bran, germ, and endosperm, making it “whole” wheat. Since it’s made with hard white wheat instead of hard red wheat, like whole-wheat flour, it has a paler color and its taste is milder. You’ll still taste more of a nutty flavor compared to regular all-purpose flour because it includes the fibrous bran and germ of the wheat, but it’s a milder whole-wheat flour so it’s great if you’re getting used to the taste of whole wheat. I bought my white whole wheat flour at Trader Joe’s but if you don’t have a Trader Joe’s near you, check out King Arthur Flour. They have it at most grocery stores or you can order it online. If you don’t want to buy another bag of flour, you could do a blend of half whole wheat and half all purpose flour. 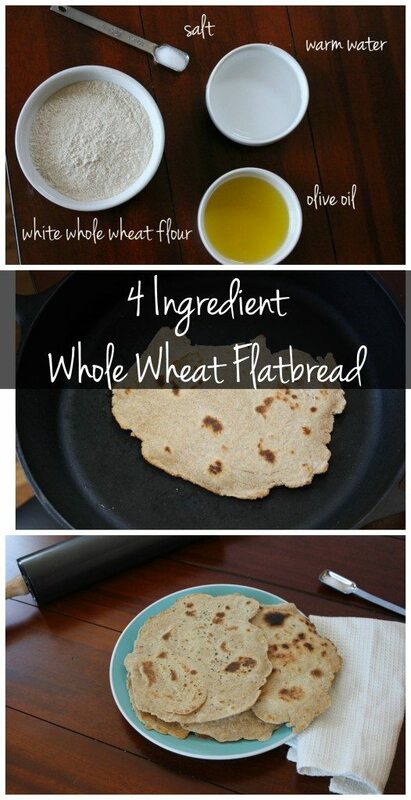 Whole Wheat Flatbread Recipe, No Yeast Required! This recipe makes 6 small flatbreads. Combine the warm water and salt and let the salt dissolve. Add in the whole wheat flour and work it with your hands until the moisture is distributed. Knead it with your hands for 3-4 minutes. Cut it into 8 small pieces and roll each of the pieces out into a very thin sheet. Heat in a pan over medium heat for 2-3 minutes per side. You won’t need any oil and as long as you use a non stick pan, you shouldn’t have any trouble flipping them. Let cool and then eat up! Keep them in an airtight container until you’re using them. I made half plain whole wheat flatbread and half with a sprinkle of an Italian seasoning blend. It was a nice way to mix it up a bit! 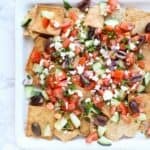 These whole wheat flatbreads would be lovely topped with hummus or dipped into homemade tzatziki sauce. You could even top it with pizza sauce and cheese for a quick and easy flatbread pizza! What’s your favorite flatbread topping? I was *just* looking for a flat bread recipe that didn’t contain yeast. It’s like you read my mind! These look fantastic and super simple. I will definitely have to give them a try. I’ve actually been wanting to make flatbread. I like it a lot at restaurants so I feel like I would like having it at home…I guess I could buy it but this looks so simple. Yum…love that it is simple to follow and no yeast needed. It’s no fail! This is a great idea! I’ve never made my own flatbread and like you — can’t get enough of them. Time to step up my game! This reminds me of rotis that we make at home so much. I will be adding in the dried herbs as your recipe calls for and see if I can pair it with a creamy kofta tonight. Cheers! I love making homemade tortillas, so I have no doubt I would love these!! I have trouble not wanting to eat the tortilla right out of the pan- they are so good fresh! I can only imagine the possibilities of toppings for this! Maybe some mashed avocado, shredded chicken and BBQ sauce?? YUM! Your flatbread looks a lot like Indian flatbread called bacri (sp?). Except instead of herbs, we add cumin seeds! YUM! YES – I couldn’t agree more. I love all things flatbread. YUM! I love that these don’t use any yeast. Flatbread is seriously the best! It is! It’s so versatile!! Aw bummer! I don’t know how well it would work with gluten free flour but I might have to give it a shot! 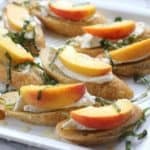 These look delicious and so simple! Thanks for sharing! 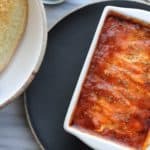 yumm that looks so good, and easy too! I need to try this! 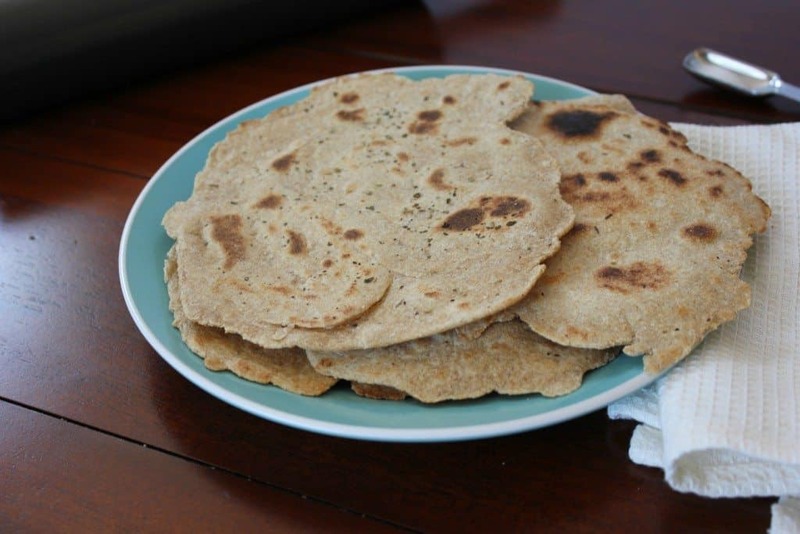 I love making my own Flatbread and this is a great recipe. I really appreciate you sharing with us at Full Plate Thursday and hope you have a great weekend! Thanks so much for sharing your recipe with us at Merry Monday. 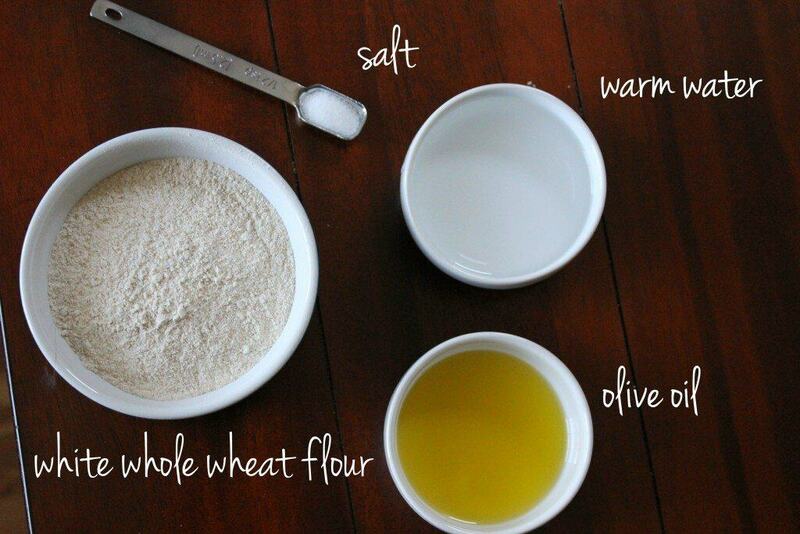 I’ve always wanted to make my own flatbread.I’ll give your recipe a try. Are these crispy or soft and pliable? Thanks! I made it for my family to go along with there curry and they absolutely adored it thank you so much! Whole wheat is my favorite. I love that this doesn’t need yeast. I love making my own flatbread. 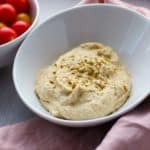 I always whip up a batch with some hummus when we have people over and it never lasts long. Currently contemplating all the things I can stuff and roll into these flatbread! WhenI saw these the first thing that came to my mind was using them to mop up a spicy curry! They look so easy to make – this may be my new favourite bread recipe! We used organic unbleached white flour cause it’s what we had, and we love this! So simple and easy. Great with the kids too. .. though they insisted on adding semi sweet choc chips in them which tasted surprisingly good too. Thank you for this recipie, will try with whole wheat flour next time. Yay! I’m so glad you and your family enjoyed them! We just tried it out. It was great. We used pizza stone baked in the oven instead. So perfect for a hummus veggie wrap! 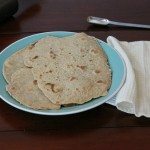 I’ve never even thought to make my own flatbread — and here you go making it look so easy — and making it healthy with the whole wheat! Thank you for the inspiration. Flatbread is a staple around our house, can not wait to try this recipe! I am loving this flatbread and can not wait to try it. I’ve never made flatbread either but your easy to follow directions will make my first time a breeze. I also love that there are only a few ingredients. I’ve never made my own flatbread, but now I can’t wait to try! This looks amazing!